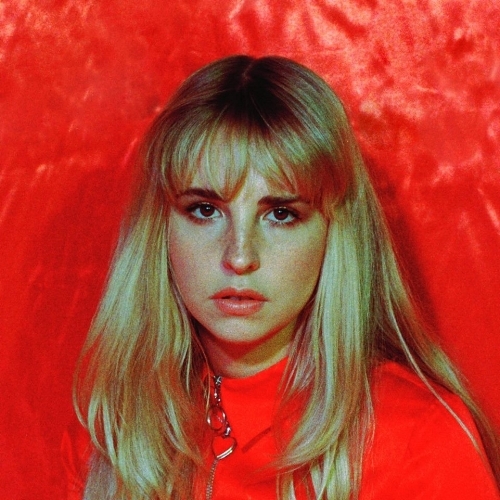 out in the world; I have been speaking with Chantitown about the stories that go into it; what it was like working with Jim Hustwit; whether she grew up around a lot of music as a child – Chantitown highlights some new artists that are worth some serious time. I ask whether we might see any tour dates coming through; Chantitown reveals a few albums that impact her in a big way; what she does to relax outside of music; what advice she would give to artists coming through – she picks a couple of great songs to end the interview with. Hi, Chantitown. How are you? How has your week been? I’m hot…there is a heatwave in London which is amazing on the one hand as people are smiling but, on the other hand, we are clearly not conditioned for such heat in the city - dreaming of the coast as we speak! I’ve been recording my second E.P. in the studio. It’s been a good week. OK. I am Chantitown. I have just released my debut E.P., Cause and the Cure, and, if you have not experienced my music, I can try to sum it up by saying it will take you on an epic journey. I kind of cross genres so it’s hard to describe my sound, but it’s a fusion of percussion, guitar, strings and electronic sounds. It’s taking Folk and Indie roots and displaying it with my own fresh, contemporary twist. That sounds like it made zero sense. Forgive me; it made sense to me! Cause and the Cure, your new E.P., is out. Are there distinct themes and points of reference that influenced the songwriting? I like to tell stories through my songs based on real moments - usually my own moments - but I tell other people’s stories, too. Themes on this E.P., I would say, include reflection, acceptance and letting go. Is it easy, when recording an E.P., to look from the outside and watch it all form – or are you completely immersed and only really take it in at the very end? I am passionate about telling a story: I get fully immersed but it’s not aimless without direction. I know exactly where I am heading with a song. Sometimes, I am surprised where is leads me but most of the time I know where it’s heading. I’m not a control freak, just clear on my vision. What was it like working with Jim Hustwit on the E.P.? It’s amazing working with Jim. He is ridiculously-talented. I am really fortunate he was able to work with me. Not only does he share my wicked sense of humour (I am surprised we get any recording done with all the laughing) but he actually understands me and all the weird sounds in my head that keep me up at night. I don’t think I would have produced this E.P. in quite the same way without him. I will be forever grateful we crossed paths. Gosh, yes! I had such a passion for music. My mum was a walking-radio with no ‘off’ button: she never stopped singing so, yep, I grew up around a lot of noise! By the time I was in high-school, my dad upgraded us from terrestrial T.V. to satellite; I was hooked on MTV and VH1. I listened to absolutely everyone from Nirvana to Janis Joplin. The million hours on Unplugged, watching The Cranberries, Eric Clapton; Alanis Morissette and Pearl Jam. The list is endless. In terms of songwriting; Carole King, Stevie Nicks; Tracy Chapman and Joni Mitchell all fuelled my hunger for writing songs that had meaning and depth. It helped me refine my own style. On the other end of the spectrum, I also listen to Jay-Z, Biggie Smalls and Tupac; so I’m mean at rapping…like, seriously good. Ha! I am constantly inspired, daily. How important is your heritage and parents regarding the sort of sounds you like and how you approach music? I was born and raised in London but my parents’ roots lead back to India and East Africa. I think my love for percussion and certain sounds come from the music they played whilst I was growing up - and you can hear subtle hints of this in certain songs. My dad also liked Bob Marley and The Beatles, so there was a lot of good music to appreciate. Bad joke…I would be happy to sell out a caravan! To establish myself further and keep writing and producing songs that are authentic and take people on a journey. I will have my second E.P. out towards the end of this year which I am excited about So, lots to look forward to. There will be tour dates - and I can’t wait. I am still recording and have not established these yet. My social media and website will keep anyone who cares in the loop! Yes. This one…releasing my E.P. Seriously; I have been writing songs since I was thirteen and have many fond memories relating to music, but recording this album has been the most rewarding and humbling experience. I have had to take a look at myself in the mirror (with no make-up!) on more occasions than I wish to and have confronted difficult times in the process. I have laughed, cried; tripped over and knocked my head (for real) and everything in-between. I am proud of myself for getting this far: anything more is a bonus. Are you kidding me; just three?! I could easily name thirty but I will do my best with three purely based on how I am feeling today. I am sure it would change tomorrow. Tracy Chapman – Tracy Chapman; Lauryn Hill - The Miseducation of Lauryn Hill and Joni Mitchell’s Blue. They all represent different times in my life and their work is just exquisite. All three artists I mentioned above are alive! I tell myself to make sure you can look in the mirror and say to yourself “I did everything” whatever the situation, whatever the outcome. That’s all we can do; to give it our everything. Artists I have stated to follow include Laurel, Låpsley; AURORA, Novo Amor; Arctic Lake, Billie Eilish; Daughter, Charlie Cunningham…I could keep going. I am on the run all the time - in a non-criminal way! I like yoga and surfing when I can find the time. Being with my girlfriends; taking a long bath being immersed in Himalayan salts. Ha! I love the English countryside and take every opportunity I get to escape the smoke. There is nothing like the smell of fresh manure to make you feel alive! Aww. Well thank you so much for playing my songs! I can only choose one song…ok. I will say Låpsley - Falling Short and Minimum by Charlie Cunningham. Dammit, that’s two!